Step through the doors of the Andaz West Hollywood hotel, and the VIP treatment ensues. 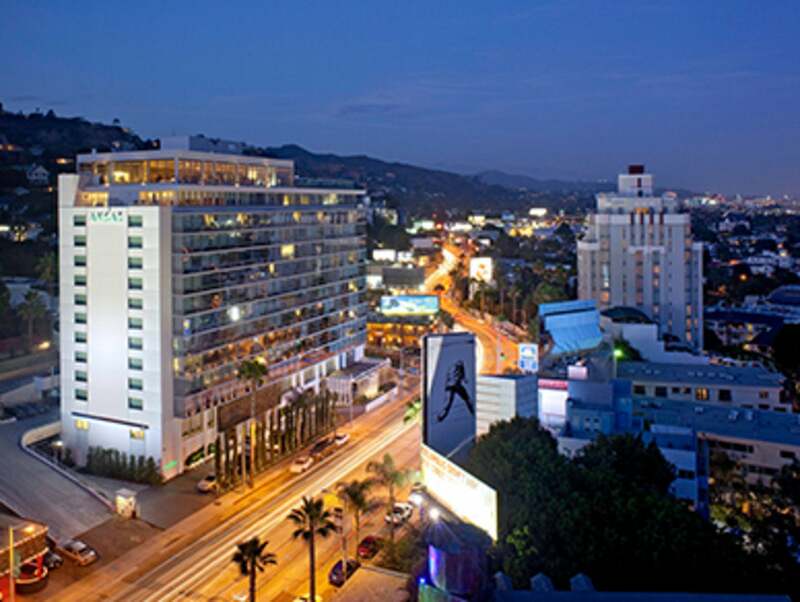 Located on the legendary Sunset Strip, this 239-room hotel is both boutique and rock n’ roll. Hosts are at the ready for requests and the communal Andaz Lounge keeps tech-savvy travelers plugged in. The best place for “unplugging” is at the rooftop pool, the highest on the Sunset Strip. First things first, though: Scope out the scene, much of which is within walking distance. The Andaz offers guests VIP all-access passes to some of the Sunset Strip’s most celebrated clubs, so night owls won’t miss a thing. For more information on the VIP all-access pass, visit thesunsetstrip.com/info/vip-pass. Before the sun goes down, get the lay of the land via swimming pools, starting with the one on the rooftop sundeck at Andaz. Down the street at The Standard Hollywood hotel, choose a lounger on the blue AstroTurf-flanked pool from which to sip cocktails over lunch and plot the night ahead. Before departing, engage in a game of Ping-Pong. 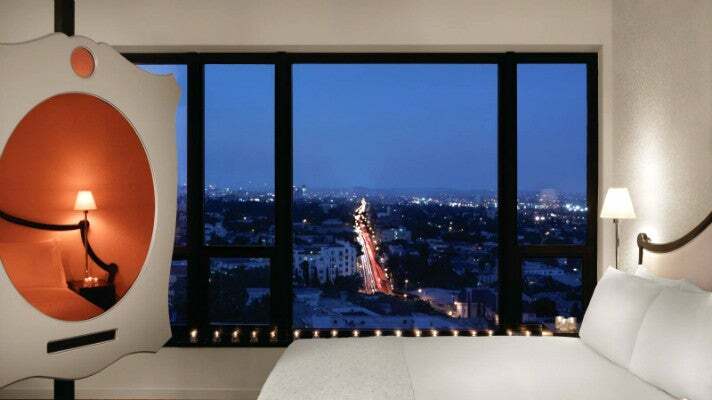 Next up is the Mondrian Los Angeles. The lobby swing is irresistible and the Outdoor Living Room and pool are enticing, but an ocean-to-table dinner at Ivory on Sunset awaits. Ivory on Sunset features executive chef Brian Malarkey’s Californian cuisine using fresh ingredients straight from the farmer's market to create inventive shared plates. 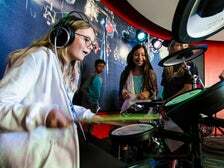 World-class DJs spinning beats add to the California vibe. Afterward, Champagne kicks off the evening festivities at Skybar. The historic venue has been a vital music spot since it opened at the corner of Sunset and San Vicente in 1964. From the invention of the go-go dancer concept to its influential role in rock, punk, New Wave and heavy metal, the club’s place in music history is secure. The long list of performers includes Led Zeppelin, The Who, The Doors, Blondie, The Police, the Ramones, Van Halen, Guns N’ Roses, Metallica and Mötley Crüe.Other famous music venues near the Whisky A Go-Go include the Rainbow Room and the Roxy (both a couple of blocks west on Sunset), and the Viper Room, located on Sunset Boulevard just east of the Whisky. Start Day Two with a hearty meal at the original Barney’s Beanery in West Hollywood. 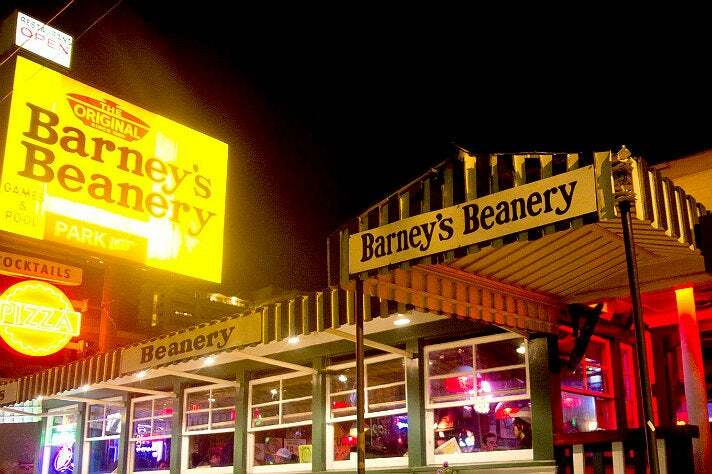 Opened in 1920, Barney's Beanery has served generations of pop culture icons, including Jim Morrison, Janis Joplin, Marilyn Monroe, Marlon Brando, Clark Gable and Charles Bukowski. A plaque honoring Morrison and the tabletop that Joplin carved her initials are among the memorabilia. 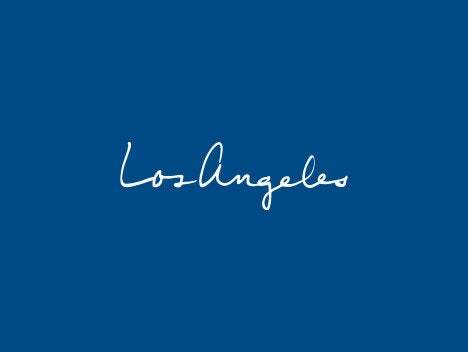 Discreetly located on Alta Loma Road near the Sunset Strip, the Sunset Marquis continues to offer a home-away-from-home to rock legends, Mad Men, fashionistas and discerning travelers from all over. 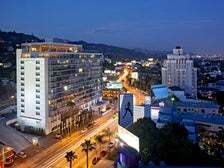 Generations of music icons have stayed at the Sunset Marquis, including Neil Diamond, Elton John, Bruce Springsteen, Bob Marley, The Clash, Blondie, Metallica, Guns N' Roses, Aerosmith, Sting, Green Day, Dave Grohl, and Trent Reznor. The hotel’s subterreanean garage is home to Nightbird Studios, a world-class recording facility that’s welcomed a Who’s Who of musical guests. 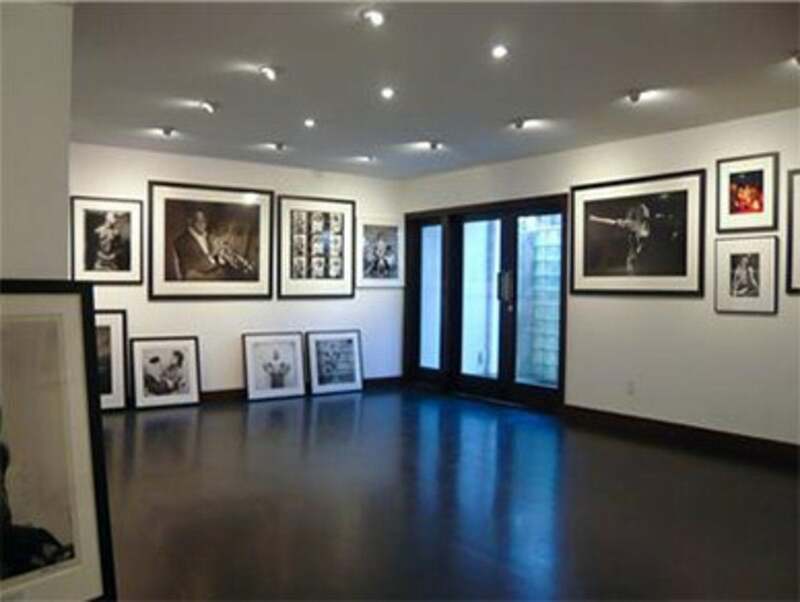 The Morrison Hotel Gallery, located inside the Sunset Marquis lobby, exhibits a selection of major fine art photography from an archive of world-class music and sports photographers. 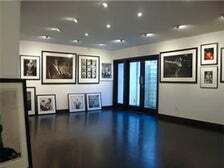 The gallery extends to the stunning photos on view throughout the property - they’re all available for purchase as well. After browsing the gallery, you can tuck into the famed Bar 1200 across the lobby, sip a cocktail and plan the night ahead. Located adjacent to the Roxy Theatre on the Sunset Strip, the Rainbow Bar & Grill has been a hangout for rock stars since the early 1970s, welcoming everyone from Led Zeppelin and Alice Cooper to Mötley Crüe, Poison, and Guns N' Roses. Marilyn Monroe and Joe DiMaggio went on a blind date at the Rainbow, back in 1952 when it was an Italian restaurant called Villa Nova. Slip into one of the red vinyl booths and dine on American and Italian fare before your night out, or afterwards - the kitchen serves until 2 a.m.
Get ready for some serious beats on a five-stop L.A. Epic Club Crawls excursion. Enjoy a night of A-list treatment and let the L.A. Epic Club Crawls limousine do all the driving. 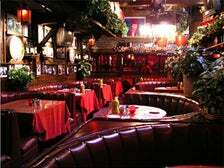 No red stanchions bar the way to Los Angeles’ hottest nightclubs with L.A. Epic Club Crawls’ VIP access. Wednesday, Friday, and Saturday, they’re the ticket to venues (four per night) such as The Colony, Lexington Social House, Supperclub, and Lure. On Day Three, head Downtown to visit the GRAMMY Museum at L.A. LIVE. This four-floor museum features more than dozens of exhibits of rock, hip-hop, country, classical, Latin, R&B, and jazz. Opened in January 2014, the Ace Hotel Downtown Los Angeles features 180 rooms, the LA Chapter restaurant, and a rooftop bar and pool with spectacular panoramic views of the city. The hotel was originally built as the United Artists Building in 1927. The historic Theatre at Ace Hotel is a restored 1,600-seat movie palace that hosts a wide variety of events, from music concerts to dance performances and film festivals. Enjoy cocktails and an unforgettable sunset at the hotel's rooftop bar before dinner. Dance the night away to sets by globetrotting DJs at Exchange LA, located in the Historic Core of Downtown L.A. The massive 25,000 square-foot nightclub spans four floors, boasts a thunderous Funktion One sound system, and features a dazzling 200 square-foot LED screen with 1.25 million bulbs.